Home » What causes migraines? What causes migraines and how can we prevent them? Each and every single year, more than 28+ million Americans deal with at least one migraine, with almost 56% of those individuals forced to face multiple migraines each year – sometimes a dozen or more in rapid succession. Far more painful and destructive than traditional headaches are, migraine headaches can be a serious precursor to some very dangerous medical situations – but then again, they may only be brought on by environmental and stress-related factors. To better understand what causes migraines, the reason that migraines exist, and what you might be able to do to avoid a life crippled by migraines, you’ll want to pay close attention to the information in this quick guide. Before we get into the real “meat and potatoes” of this guide, however, it’s important that you understand the importance of seeking out trained medical assistance if you find yourself struggling with migraines on a regular or routine basis. As mentioned above, these migraines can be precursors and symptoms of much more serious underlying issues that need to be addressed just as quickly as possible. Don’t hesitate to contact your primary care physician or seek out emergency medical assistance if you feel it would be beneficial. What exactly are migraines anyway? Though the specific causes of migraines are still unknown, modern medicine and research has shown that these attacks on the brain are closely related to headaches – and share many of the same trigger points, root causes, and symptoms (on a much more serious scale, of course). Migraines present themselves as incredibly powerful headaches that have the ability to cripple or debilitate individual struggling with them, completely putting you out of commission while you’re dealing with a migraine. Most migraines present themselves as seriously painful and very pressurized headaches for anywhere between a few hours and three days or more – though multi-game migraines are considerably rare and should be treated with professional medical assistance as soon as reasonably possible. Because we are still discovering new things about the brain and how it functions, we aren’t quite sure of the exact triggers and root causes of migraines, though there are millions and millions of dollars funneled into research trying to better understand these details every single year. A substantial amount of research is focused on better understanding how the brain deals with central nervous system diseases, conditions, and disorders – especially those that cripple or impair the signals that are sent throughout the body. The brain is obviously the “CEO” of the central nervous system, but we are starting to discover more and more that the spinal column and the network of nerves throughout the body are much more than just a superhighway for signals to be transmitted across. Diseases and conditions that negatively impact the spinal column and your nerves can directly cause migraines to present themselves, in large part because these impairments leads to mixed signals, pressure points, and consistent pain. Vascular issues (diseases and medical conditions that cause irregularities in your body’s blood, as well as irregularities in the brain/body barrier), can contribute directly to migraines presenting themselves as well. Any time you’re talking about starving the brain of the critical nutrients and resources it needs to “feed itself” – in any time, you’re talking about crippling its ability to communicate with the rest of the body – you are inviting serious repercussions to occur. Many times, these repercussions present themselves in the form of migraine headaches that can last for quite a while. As we discover more and more about our genetics, our DNA, and how different hereditary conditions are passed down from one generation to the next, we are discovering that migraines may be linked to genetic precursors and predispositions. Some people are more prone to dealing with migraines and others, and many of these individuals share similar gene mutations. More research is necessary to draw any conclusive determinations, but scientists are working 24/7 to better understand the genome. We may have answers about whether migraines are genetic (along with a number of other diseases and conditions) much sooner than many people expected. Researchers that have been trying to figure out what causes migraine headaches have also noticed that a significant percentage of individuals dealing with these headaches have specific chemical imbalances or abnormalities in common. Brain chemicals, neural pathways, and the central nervous system are activated during a migraine headache, and much of this is triggered by different hormones and chemicals being released into the body. On top of the root causes of these headaches, there are a number of the individual “triggers” that can contribute directly to migraine symptoms presenting themselves. 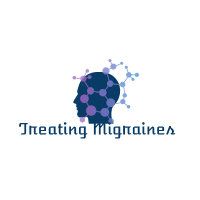 In fact, some researchers believe that the overwhelming majority of people that are dealing with migraine headaches are dealing with migraines brought on by individual trigger points and not because of medical conditions or inborn issues that would be more difficult to prevent or to cure. Salty foods, fermented foods, aged foods, and highly processed foods can all be linked directly to increased instances of migraines in otherwise healthy people. Cleaning up these dietary decisions and trying to lessen their intake can drastically reduce the amount of migraines that an individual has to contend with. Alcohol and caffeine consumption can also be lumped into this trigger point. Another trigger point that individuals are going to want to be on the lookout for comes in the form of sensory overload. Those that regularly expose themselves to unusually bright or blinking lights, loud noises, smells that flood the system, and a handful of other sensory overload situations all experience higher instances of migraines than those that do not. A lot of women report dealing with migraine headaches shortly after becoming pregnant, after giving birth, and after reaching menopause, and a lot of this has to do with the hormonal shifts and changes that the human body goes through during this time period. Men also deal with hormonal shifts from time to time (though not quite as severely as women) and will also have to be on the lookout for these trigger points. The major risk factor that can be closely linked to what causes a migraine would have to be the presence of regular stress, regardless of whether it’s mental or physical stress. Those that lead exceptionally stressful lives (especially those that are prone to “burning themselves out”) are going to deal with migraines on a much more consistent basis than nearly anyone else – outside of those dealing with genetic predispositions perhaps. Another major contributing risk factor that individuals will want to try and eliminate is not getting enough rest and recovery on a nightly basis. There is a reason why almost all medical professionals recommend everyone tries to get at least eight hours of consistent of high quality sleep (if at all possible), and why you’ll want to do everything you can to maximize the quality and amount of time you spend sleeping each night. Though there are only a handful of effective solutions provided by the medical world to help prevent migraine headaches (many of them only available through a prescription), there are a number of different things you can do to improve your lifestyle that may help you to banish migraines from your life forever. The first thing that you’re going to want to do is overhaul your diet and exercise habits so that you are leading a much healthier lifestyle. This change alone is going to dramatically lessen the amount of migraine headaches you have to deal with while at the same time improving every other area and aspect of your life as well. Secondly, you’ll want to try and rest and recover better than you currently are. Sometimes, this involves purchasing a higher quality mattress, pillows, and bedclothes, and other times, it involves scheduling regular massages or meditation periods so that you’ll be able to “blank out” and give yourself the mental space you need to reduce stress and the impact it has on your body and well-being. Finally, you may want to consider taking yourself on regular vacations to warm, sunny, outdoor locations. This has the ability to “reset” your body and your mind, and though not everyone will have the opportunity to jet set themselves around the world to escape their migraines, even just taking a weekend trip and an hour or two away can be enough to recharge your batteries. At the end of the day, there are a number of root causes that contribute directly to migraines – but there are also a lot of different things you can do to avoid dealing with migraines directly. Hopefully, now you better understand what causes migraines, how to prevent and treat migraines, and when it’s time to call in the professionals and use modern medicine to eliminate this problem completely.